How to lose weight the easiest and the healthiest way? 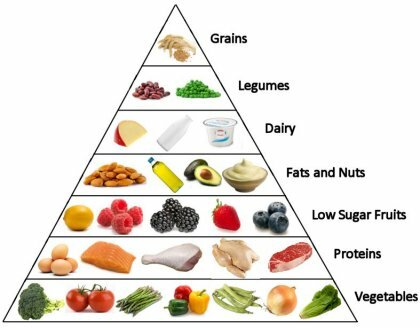 Why the low carb diet could be the best for you? A low carbohydrate diet means that you should eat more proteins and fats and less carbohydrates. While on a low carbohydrate diet you can eat delicious foods and still lose weight. You simply need to limit the amount of carbohydrates in your meal plan and eat as much protein and fat as you want. Low carbohydrate diet does not only help in weight loss but it also improves your overall health. Research has shown that consuming fat is not what makes you fat and results in weight gain. There are hundreds of scientific studies that explain why low carbohydrate diet is better than low fat diet. This is because when you eat less carbohydrates, the level of blood sugar stabilizes and the level of insulin, the hormone responsible for storing fat, drops. Eat as much as you want: meat, fish, eggs and natural fats. Control: sweet fruits like apples, tangerines, grapes, bananas etc. Do not eat: sugars, bread, pasta, rice, beans, potatoes and anything else that contains starch and/or sugar. Carbohydrates are nutrients that are found in almost every meal. The preferred amount of carbohydrate intake for a healthy person is 150-300 gram per day. A person that wants to lose weight should reduce the intake of carbohydrates to 20-40 gram per day. “All you need to do is eat less than 40 grams of carbohydrates a day”. Once you start a low carbohydrate diet, you can sense the results the very first days. The first few weeks you start losing about 2kg per week, and later, depending on your body weight, you lose around 400gr-1kg per week. There are plenty of diets that claim extreme weight loss in a very short amount of time but they are usually unsuccessful because the weight lost is regained immediately. The weight loss you see is due to the loss of water not due to the loss of body fat. A low carbohydrate diet eliminates this problem. The lost weight due to a carbohydrate diet is truly lost and you don’t regain weight unless you go back to a high carbohydrate intake. Many people prefer to have a low carbohydrate diet not primarily for weight loss but rather for its health benefits. A low carbohydrate diet decreases your appetite and lowers levels of bad cholesterol, blood sugar, blood pressure etc. How does your body process carbohydrates? Your body uses carbohydrates as the main source of fuel. Carbohydrates, like sugars and starch, are converted into a simple sugar called glucoseduring digestion, which our body uses as energy for the cell. Excess glucose, which is the problem, can be converted into a larger molecule called glycogen that is typically stored in the liver and muscles. If this amount of excess glucose is not consumed, it is converted into body fat. That is why if you keep consuming carbohydrates you gain weight. Instead, if you start eating less sugars and starch your body starts to consume excess body fat as fuel for activities like walking, running or simply just breathing. This in turn results in the ultimate goal of a diet: losing body fat. The table below indicates the amount of carbohydrates per 100 gram of various fruits, vegetables, grains and seeds. The carbohydrates in the form of fiber are not included because after digestion they are not converted into energy. Net carbohydrates means the effective carbohydrates that you should count. Note the difference; 100 gram of lettuce contains 1.6 net gram carbohydrates, whereas 100 gram of corn contains 67 gram net carb. It only takes a little amount of grains to exceed the allowed amount of carbohydrates you should have daily. -Some of the side effects on the first week are: fatigue, muscle soreness, headache, irritation etc. ; these effects last only a few days until our body adapts to the new way of using energy because our body is used to consume carbohydrates instead body fat as energy. -Even though the amount of fats you can take is unlimited, you should consume more natural fats like olive oil, coconut oil or almond oil. -If you are pregnant, breastfeeding, have diabetes or you are taking medications, you should consult your doctor before you start this diet. The amount of medications you need to take could be less if you are on a diet. -If you increase physical activity, the results of this diet would be way faster. MayoClinic. (2014 ). How many carbohydrates do you need? Next articleVarësia ndaj drogave: Një sëmundje midis mitit dhe së vërtetës.